MORE THAN MET THE EYE. The quest is over, the dust has settled, and everything has changed-forever. But before the fond farewells, before the parting of ways, before the unkept promises to stay in touch, there’s time-surely, there’s time-for one last drink… Extra-long final issue! Tying together and putting a bow on stories from the last 13 years! The final fate of the whole Lost Light crew revealed! 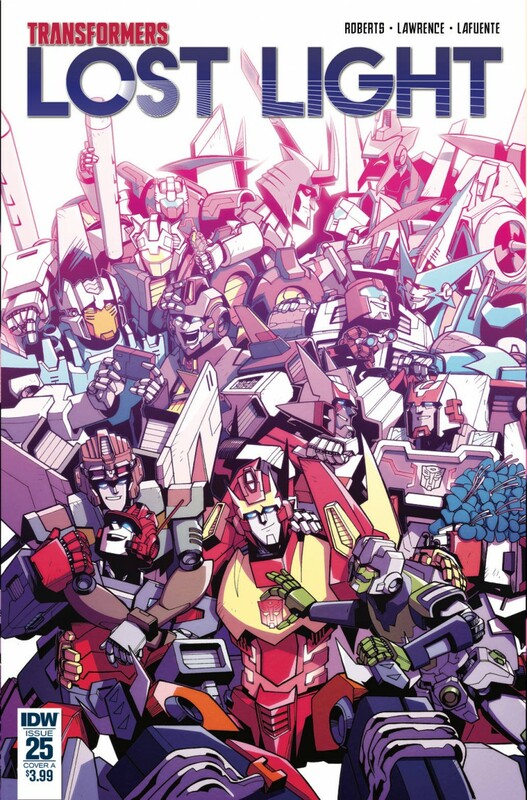 From the Death of Optimus Prime to now: 85 issues of the Lost Light cast!